With my knowledge and experience I am able to offer service that will save you money and give you confidence in your choices. Get treated right! For each situation, we’ll discuss whether making a repair is a viable option. If repairs are possible, I’ll always offer that choice before replacing items. I am recognized by Vancouver Islands’ ground water hydrologists and Island Engineering Firms for competency in well testing. 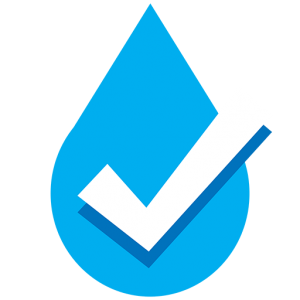 I am a member of The Ground Water Association and a certified installer. On average, my rate is 25–30% lower than industry standard. No hidden costs or surcharges. Below recommended list prices on most product. I earn your trust by making sure you understand your water system. I aim to show you how to be cost effective. I have been servicing the water systems of south and central Vancouver Island for over 30 years. Paul was amazing. Called him at Cobble Hill and was here in Honeymoon Bay within an hour! Was extremely helpful and at a great price! Thanks Paul! I would highly recommend Paul, he was super friendly, detailed and accommodating during the whole process. Our well pump works as it should with a great warranty from Paul. Amazing experience all around. When our well pump died, we called many places in order to arrange repair. Paul’s prices were not only the most competitive, but he was able to give us the quickest service date. When he was here, it was clear that he is very experienced and knowledgeable. He was also able to explain problems and processes very well. It has been three months since our service, and everything is running perfectly. We would highly recommend Paul!! Paul has come to our aid twice since we moved to Cowichan. Initially we needed a new well pump. We had always been on city water, so Paul educated us on the ways of living with a low flow well. After two years of this we decided to go for a water storage tank with a trickle system to assure we always have water on hand for ourselves and our livestock. Paul tutored us through the project, provided us with excellent advice and service and made sure that the electrical job to service the pump and floats in our storage tank was installed correctly. His fairness and dedication to providing good service and appropriate technology for the situation and the budget have impressed us greatly. We continue to recommend his services to those we encounter who have water issues. If you have any need for well, pump, water treatment services, call this man first. He has integrity and morals unlike some others. He is very efficient and accurate. He does not “sell” you something you don’t need. I would highly recommend him. We had him come and fix up a mess that another company in the Cowichan valley left us.